Strengths Finder: What are you great at? Want to be happy? And, boost your wellbeing? And, be more satisfied with your life? Graeme Cowan suggests in his new book Back from the Brink, that we can achieve all of this if we simply work in our strengths. Whilst this post is all about me, my hope is it will inspire you to take the strengths finder test and apply it to your life. 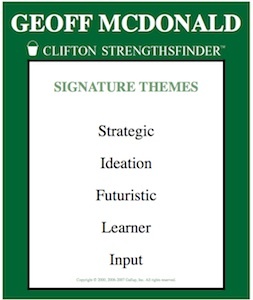 Graeme recommends the Clifton Strengths Finder tool. And, now I do also. I took the test too. Here’s my top five signature themes: Strategic, Ideation, Futuristic, Learner, Input. And, for those of you reading this who know me well you’ll be nodding your head and likely saying ‘Yep, that’s Geoff’. Being strategic is about sorting through the clutter and finding the best way forward. Whilst many claim to be strategic it’s not something can be taught. It’s the ability to see patterns where others see complexity. It’s about seeing multiple pathways to the objective and instinctively knowing which one is the best one to pursue. Yes, I’m fascinated by ideas. No surprise there. And, it fits completely that I’d quiet architecture to become the Ideas Architect. I get a jolt of energy whenever a new idea occurs to me. I love a new perspective on familiar situations. I’m the guy who is always asking ‘Wouldn’t it be great if…’ I’m fascinated by the future and what tomorrow might bring. Yes, I’m a dreamer and I’m also a visionary. I can see what’s possible. I can’t help myself with this one. I just have to be learning. I’m always reading something and creating something to learn more. And, it’s the process is most important. It’s the journey from not knowing to understanding that inspires me. I’m curious, I’m inquisitive and I collect things. In particular, as per my Ideation bent, I collect ideas. Evernote is my best friend for collecting ideas. I store ideas not because I need them now, because I might need them someday. Collecting ideas keeps my mind fresh. By themselves these strengths are interesting. And, it’s when you start putting them all together that you unleash your full power. I came up with these four questions to assess how I can use the strengths finder info to my advantage. For me, learning and input go together. And, ideation says I’ll learn about ideas. The futures bent says I’m interested in new things, planning and designing. And, being strategic tells me it’s all about how to get there. I think this is what makes me such a good innovator and designer. I can dip into my storehouse of ideas, describe a future vision of how things can be and then design a pathway to get there. The downside for me, the plan is the execution. I get so rapped up in the thinking about the future that doing it is a drag. I think this makes me a great coach of other people or a great consultant. I’ll point the way and you’ll need to make it happen. Having the right partners on board to make things happen is important for me. 3 What am I already doing well? I think the Ideas Architect space is right for me. And, even Book Rapper is perfect too. In both cases I get to learn and gather ideas. And, I get to put future things together in a strategic way. 4 What could I do more of? I don’t think I’m using my futuristic bent enough. I’d like to take this further by writing some more books about the future of… And, starting presenting at conferences as a keynote speaker on future trends in industries. I think there are a few speakers out there calling themselves ‘futurists’ who are merely telling us what is happening now. I think I can do a better job! The best way to purchase the strengths finder test is in combination with one of their book. 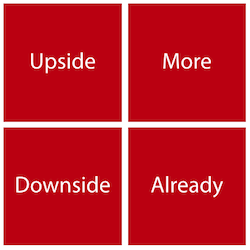 I bought the Now Discover Your Strengths on Kindle and the test came with this. There are several other books available that offer a simple book and test package. 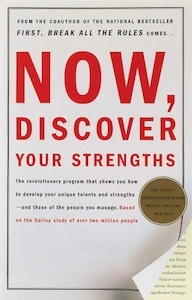 I think Strengths Finder 2.0 is the newest book. Action: Take the Strengths Finder test to boost your happiness and success. I met with a colleague the other day and he had 2 out of 5 the same as me. Interesting. Add your profile results as a comment below. Content Marketing: How Much Should I Give Away?